The Hammer COBRA XT Folding Rowing Machine is a product of an established German brand, and the Germans are famous for manufacturing and engineering high-quality electronics especially luxury cars. The brand Hammer boasts a 100-year experience in sports, so I expected a lot from this piece of fitness equipment, and it certainly didn’t disappoint. It claims to be a solidly built machine, and a lot of customers on Amazon UK are satisfied with their purchase on this one. It’s not a surprise that the quality of the Hammer COBRA XT Folding Rowing Machine is imposing. This product is TUV certified to German quality standards so you should be confident that it will last a long time even after frequent intense workouts. It’s made of powder-coated steel and aluminium, and it can support users of up to 120kg. The maximum user weight is enough for various users to optimise the use of this rowing machine. 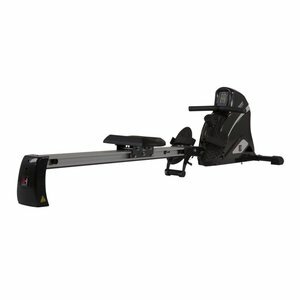 Most mid-low range rowing machines offer 5 to 8 resistance settings, but the Hammer COBRA XT Folding Rowing Machine offers ten. This will allow you to get more intense workouts so you can continuously challenge yourself as you get better. It has a 5kg magnetic resistance flywheel that can add to the intensity of your exercise. One reviewer also said that it’s not your typical rower because even the lowest of resistance levels can require a large amount of effort. Meanwhile, some indoor rowers are not considered challenging even when on their highest settings. The LCD computer displays large characters which allow you to track your progress easily. You can keep track of your distance, time, calorie consumption and pulse.The Hammer COBRA XT Folding Rowing Machine has a built-in radio pulse sensor receiver, but the pulse sensor needs to be purchased separately. This rowing machine is obviously called a “Cobra” for a reason. It’s because it looks like one when it’s folded! And therefore, this could add up to one of the reasons why it’s ideal to add to your home gym, it’s foldable, and it has transport wheels on the front for easier storage when not in use. Even though it’s heavy with a weight of over 43 kg, it’s still manageable to move around the house because of those aforementioned features. Aside from that, it’s also easy to assemble so you can immediately use it once you receive the product. One of the things I take into consideration when buying rowing machines is the warranty. Since I’m a practical buyer, I want to make sure that the things I buy are worth my hard-earned money. Even though the Hammer COBRA XT Folding Rowing Machine is proved to be solidly built, it still comes with a 2-year warranty on all parts which will make any customer even more confident to buy it. Even though the characters are large enough to be seen, it can still be hard to read for some because it’s not backlit. It may be dark especially when you opt to workout at night. If you are looking to opt for a more budget-friendly rowing machine, the JLL R200 Rowing Machine is one of the most affordable rowing machines on the market today. It has ten levels of magnetic resistance, similar to the Hammer COBRA XT Folding Rowing Machine, and it operates silently so you can work out even when everyone is asleep. 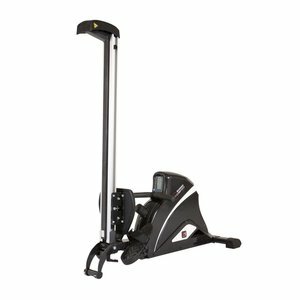 This rowing machine has ergonomic foam padded handlebars as well as adjustable footplates. The JLL R200 Rowing Machine has a maximum user weight of 100kg which is probably the reason why it’s an entry-level indoor rower. 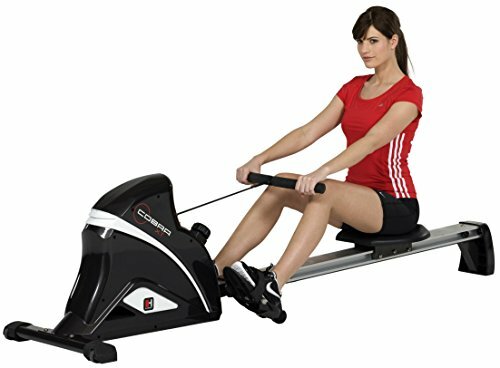 This rowing machine is a great choice if you’re not yet ready to splash out on a load of money, but are still wanting to get a high-quality rower. For a more detailed review of this model, you can click here. 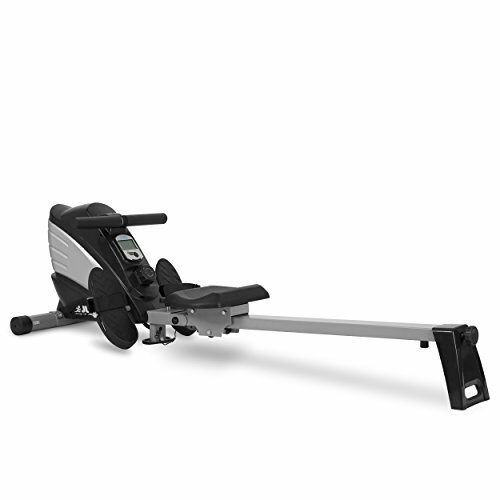 This sleek-looking indoor rower has a 7kg flywheel with silent magnetic resistance. 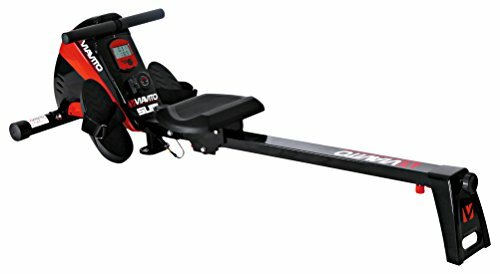 I have previously made a detailed review of the Viavito Sumi Folding Rowing Machine, and when comparing it to the SportPlus SP-MR-010 Rowing Machine, the most obvious difference is the length of the row stride. 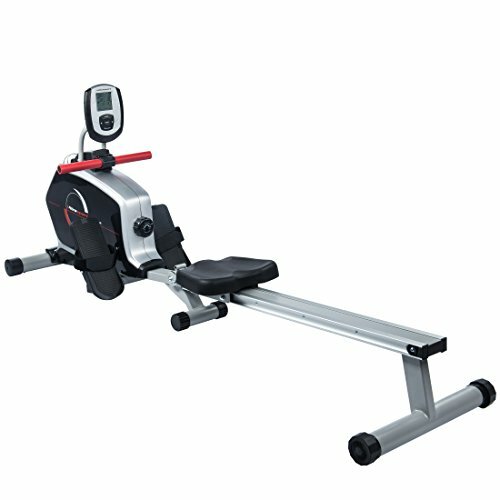 This rower only has an 80cm row length while the other rowing machine has a row length of 110cm. Nonetheless, the Viavito rowing machine is still a durable piece of fitness equipment. This is as it’s made of a tubular steel frame and can hold users of up to 120 kg. It also has an LCD console display that shows the important fitness-related data. Plus, it’s also foldable, and has inbuilt transportation wheels for easy storage. The SportPlus SP-MR-008 Rowing Machine is another fitness equipment that’s equipped with a quiet magnetic brake system. It has eight resistance levels, and it can hold users that weigh up to 150kg, which is more than what the Hammer COBRA XT Folding Rowing Machine can hold. 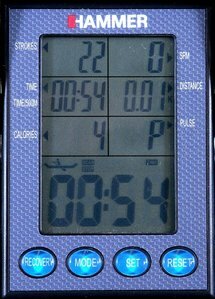 This rowing machine also features an inclination-adjustable training computer that lets you easily see from all angles the time, distance, strokes, min, and approximate calorie consumption. It doesn’t come with a wireless chest strap, but it has an integrated 5 kHz pulse receiver. The SportPlus SP-MR-008 Rowing Machine can be used by both beginners and those who are advanced. 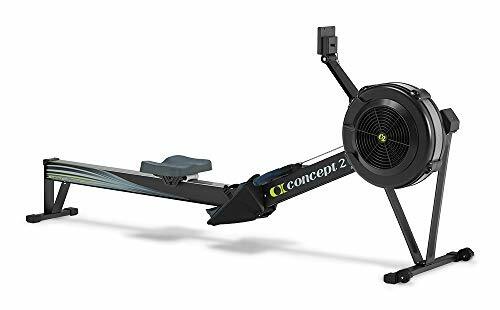 The Concept2 Model D Indoor Rower is suitable for everyone, no matter if you’re new to rowing or you’ve been doing it for a while. This rowing machine is one of the most popular of its kind, and it claims to last a lifetime. It’s easy to use, durable, and it provides effective training. Buying your indoor rower is a great investment when compared to paying for a monthly gym subscription. It’s a more practical decision, and it’s offered at an attainable price point. The Concept2 Model D Indoor Rower features advanced technology that supports ANT+, and is Bluetooth Smart enabled. Aside from the fact that the Hammer COBRA XT Folding Rowing Machine looks cool when folded, it also has a lot to offer for its price. It’s solidly built but still provides a comfortable rowing machine for users up to 120kg. No wonder why the people who have purchased this model are pleased with the performance of this rowing machine. Plus, it comes with a 2-year warranty on all parts, so you’re assured of the quality of this rowing machine.